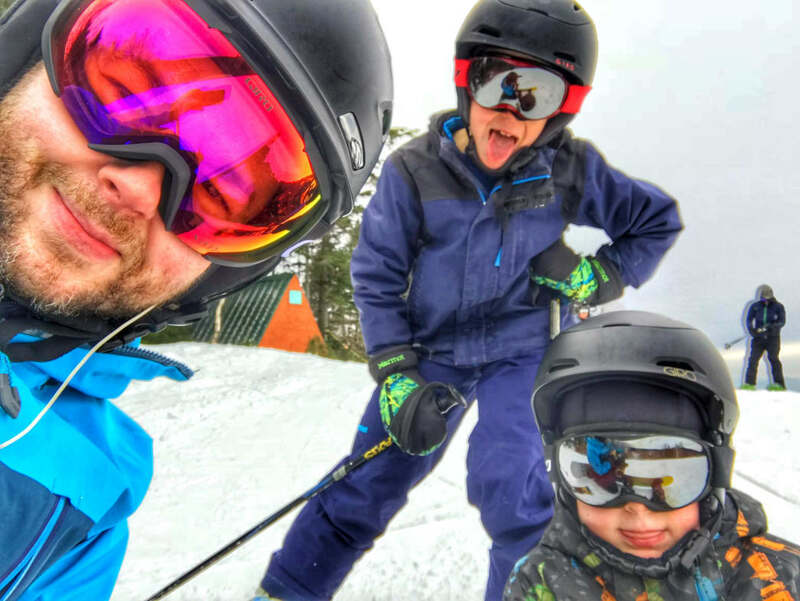 Slopeside meltdowns, freezing tears on frigid lift rides, urgent bathroom breaks the minute you’ve gotten all geared up: Hitting the slopes with your little ones can be a big-time challenge, not to mention a big hit to the wallet. But the benefits—getting your kiddos passionate about skiing and riding and creating a whole new level of outdoor fun for the whole fam—are well worth the hassle. To help you navigate the pitfalls of hitting the mountain with the six and under crew—without having a meltdown yourself—we’ve pulled together a list of helpful tips and handy tricks that will pave the way for less stressful, more fun outings (trust us, it will happen). It just takes some determination, patience, and, sometimes, the promise of apres. Take a deep breath, you’ve got this. 1. Learn how to ski swap, save big-time on cash. Don’t buy brand-new gear if you don’t need to. Kids outgrow everything so quickly and you can find great used gear for really cheap at swaps that pop up all over the place at schools, gear shops, through friends’ kids’ old stuff, and online. Not only are these swaps a great way to save money, but they won’t break the bank if you figure out your four-year-old is just not that into skiing. 2. The Burton Riglet is a necessity. No, this is not an advertisement for Burton, but if you have a little snowboarder in your house, this piece of gear is AWESOME. The Riglet is a small, circular disk with a retractable cord that’s mounted on the front of your child’s board and allows you to pull your kid around while they’re riding. It’s great for practicing balance and for letting them get the feel of the board in the backyard and essential for helping little riders across those long flats. And—big-time bonus for parents—it turns the snowboard into an easy pull toy so your child can tote around their own gear. Pro tech tip for parents: Once your child is comfortable getting towed, flip the board around so the Riglet is in the back. This lets your kid get comfortable on steeper terrain but lets you use the Riglet as a brake to help control speed. You can still tow them, and it helps get them use to riding switch. 3. Do not forget the incentives. It’s amazing how motivating a couple of M&Ms can be to a three-year-old. Whatever sweet treat gets your little one smiling, make sure you have it handy so you can ward off a meltdown. Like candy, the promise of hot chocolate in the lodge on a cold lift ride has an almost universal power to keep tears at bay. Whatever it is that gets your child up the last bit of the lift, across the mid-run flat, or off the ground wherever you may be, have it ready to grab at all times—and don’t be afraid to use it. 4. Take a good shot of patience and lower your expectations. 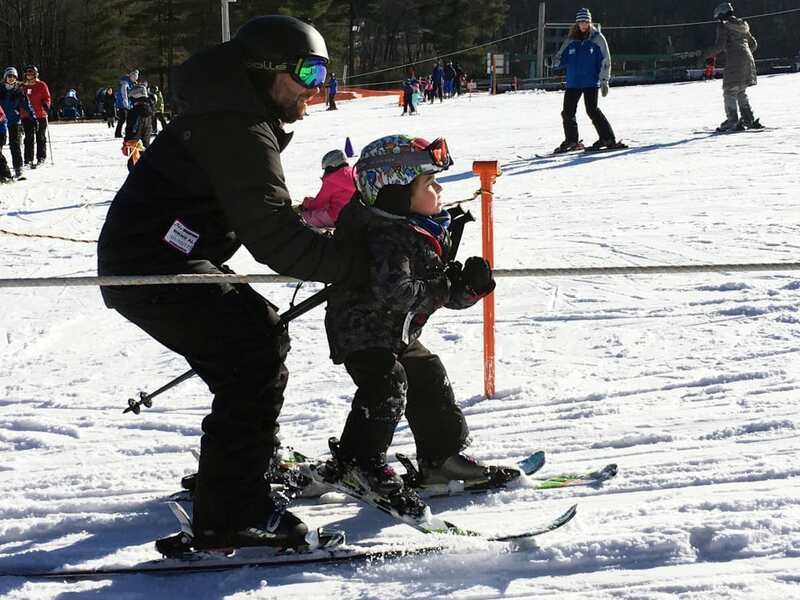 Many of us have visions of grandeur when it comes to our kids being the next Shaun White or Lindsey Vonn, but it’s important to take baby steps to get them there with a smile on their face. Don’t expect to be out for a full day right off the bat, especially if it’s cold. Fifteen minutes to an hour (and that doesn’t necessarily mean 60 minutes in a row) is usually considered a successful outing. Your goal at the end of the day should be that your offspring wants to go skiing again, even if that means you had to spend most of the day drinking hot chocolate in the lodge. 5. Always take one less run than they think they want. 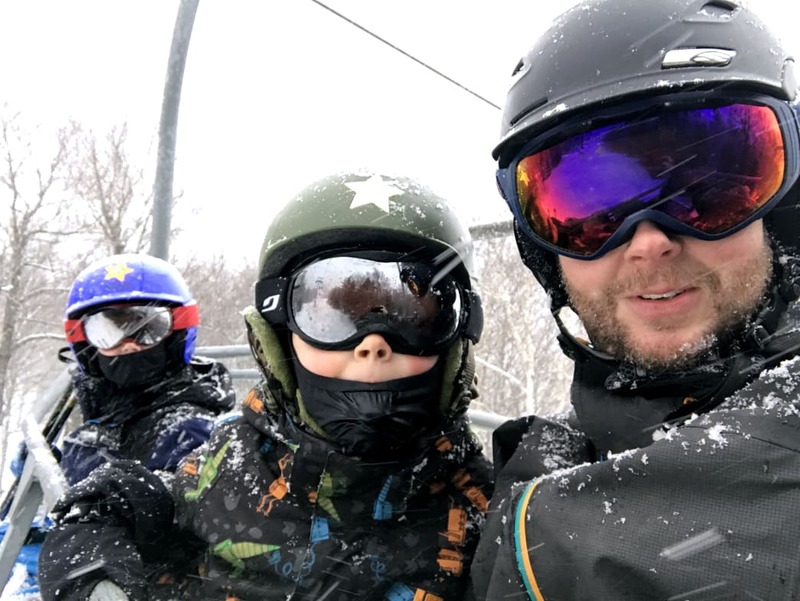 If not heeded, this critical tip—the responsibility of which rests entirely on your shoulders—can turn the memory of a glorious day on the slopes with your family into a nightmare of epic proportion, a.k.a the slopeside meltdown. It’s always the end of the day, when little legs are getting tired and mom and dad can almost taste that first post-day pint, but those little faces look up at you as your pint-sized powder hound pleads: "Just one more, pleeeeeease?" How can you say no to the enthusiasm? Then something snaps, it could be cold halfway up the lift, your child may fall at the beginning of the route, or it may be something as minor as their goggles not sitting comfortably on their face. The tears come, the refusal to stand up happens, and you find yourself pretty far away from the lodge. You’ve seen the parent skiing down the mountain carrying the screaming child, still in skis, over their shoulder. Don’t let this be you. 6. 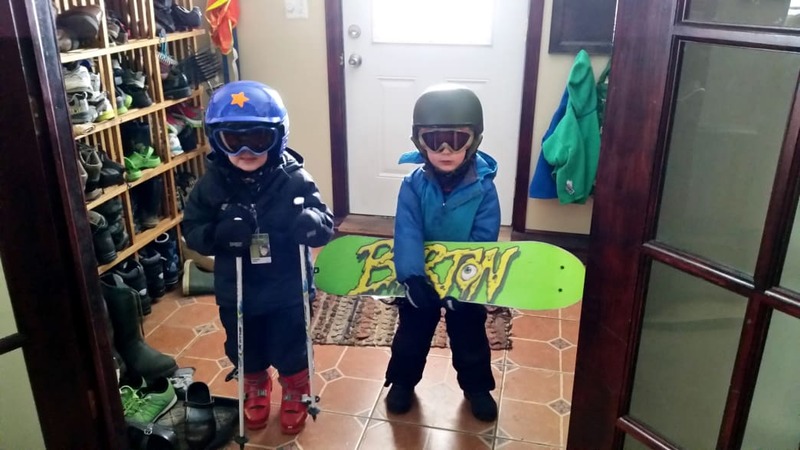 Avoid powder days with the little ones (for now). Powder days are obviously what every skier and rider crave, and as a parent you want nothing more than to have your child experience the glory of pow. But remember those shorter skis and little boards make deep powder like kryptonite to a child’s success. Don’t screw up all the hard work on both your parts just to chase some powder. On another note, be honest: All you really want to do on a powder day is ride and ride and ride. You don’t want to stop and go in for hot chocolate, you don’t want to stick to the magic carpet, and your patience will be running lower than usual (see tip #4 above). While it might not be possible, it is highly recommended that you get in a few runs before bringing the little one out so that you can really be present when you have kiddo in tow. 7. Have fun—because it is so fun. 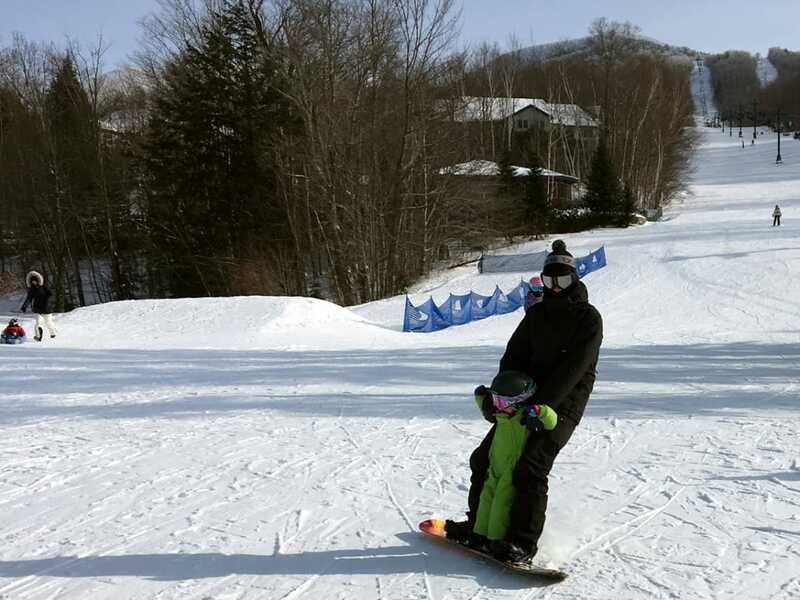 Even with all the challenges, watching your child learn the basics of skiing and riding is incredibly fun and gratifying. Each little progression becomes a milestone to celebrate, from riding the lift for the first time to being able to put on their own gear and eventually getting on the lift by themselves. Watching their confidence grow with every success will make all of the meltdowns and money well worth it—and don’t be surprised if those visions of White and Vonn status start to seep back in, too.